Micromax has just listed a new smartphone on their official website named Bolt A40. I doubt whether this device will be successful as it runs on Android 2.3.5 Gingerbread which is now the outdated version. Probably this device is for users who don’t care about Android version rather they just look for an Android smartphone. Let see what all Micromax Bolt A40 got under its specifications banner for users. No price tag has been mentioned yet on the official website but its price seems to be below 6k INR. 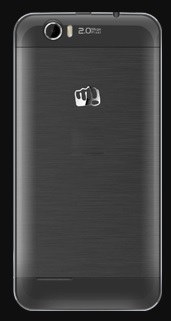 Following are the official specifications of Micromax Bolt A40 which was just made live on the official website. What I think about device? As per specifications are concerned, Micromax Bolt A40 is a budget smartphone and the only bad feature in it is that it’s running a very older version of Android OS (Gingerbread 2.3.5). As I mentioned above that the device is clearly for those who don’t care about the Android version instead want smartphone like feature at low price. The device misses out 3G cellular network support too which is a bigger miss1 even than fresh version of Android OS. It supports only 2G cellular network while these days 3G cellular network is becoming a standard at least for smartphones. Micromax has also listed that the device will be having apps developed by Micromax like EYE Room, 3in1 Bubbles, Opera Mini, Spuul, Hike and M!Live. The device will also allow users to download apps from GooglePlay store which are compatible with Gingerbread 2.3.5. If Micromax keeps the price tag below than 6k INR then this device can be a good option otherwise there are already lots of smartphones available which runs on higher versions of Android and still comes at budget price. If you’re aware of the benefits of latest versions of Android then this isn’t the device for you. It’s only for those who don’t care for Android version instead just the price tag. 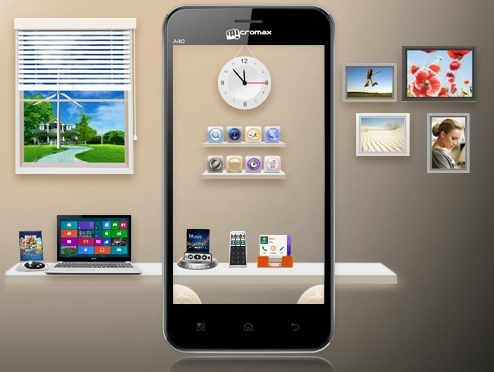 Update – You can buy Micromax Bolt A40 at Rs 5,999 only.